We have taken everything we've learned as the world's toric leader and put it into one incredible, silicone hydrogel lens for your astigmatic patients: CooperVision Biofinity® toric. Biofinity toric lenses are designed for outstanding stability, comfort and visual acuity. They feature Optimized Lens Geometry, uniform horizontal ISO thickness, a wide ballast band, plus a larger toric optic zone. This design quickly orients the lens for better performance and simple fitting. 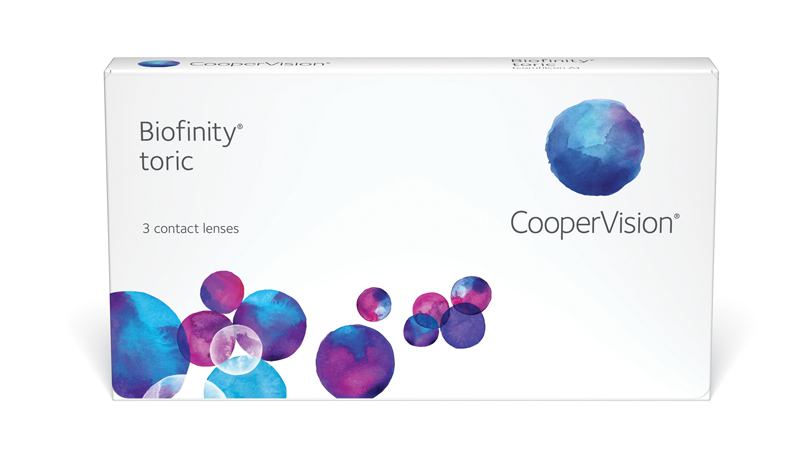 CooperVision’s exclusive Aquaform® Comfort Science™ makes Biofinity toric a naturally hydrophilic contact lens that retains water within the lens, minimizing dehydration. It also combines low modulus and high oxygen transmissibility for added comfort and breathability. Biofinity toric contact lenses are an excellent choice for your new and experienced lens-wearing patients alike.